Founded in 2005 by Richard Colgan, Oakleaf Partnership Limited is now the largest and fastest growing independent provider of executive recruitment and search solutions for the HR, Payroll and Human Capital Services professions. Delivering the full spectrum of talent across all industry sectors, both in the UK and internationally, contingent and retained, Oakleaf has become the market leader by working hard for our customers, adopting a strongly values-led business philosophy and the ongoing successful delivery of contemporary solutions for our customers. We have a dedicated Reward, Payroll, Human Capital Services, Part Time and a regional team, based in Birmingham, as well as our London based Financial & Professional Services and Commerce & Industry Teams. We possess a forensic knowledge of our specialisms and a network of talent that is second to none. 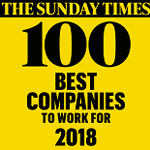 We are a 'Sunday Times Best Small Company to Work For' for the third year running, with 3 stars for employee engagement. 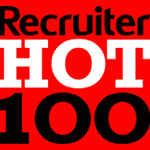 We are also a Recruiter Magazine HOT 100 company (by GP/Head), and a London Stock Exchange Group's '1000 Companies to Inspire Britain' 2018 for the second year running. A fantastic achievement on all fronts. Our people come from a wide variety of backgrounds, but they all share one thing: a commitment to provide you with outstanding service. Together, their market knowledge is second to none and they have extensive experience across many sectors. Find out what has made the Oakleaf Partnership what it is today. 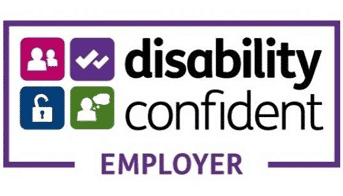 Our vision is to be the most widely respected and trusted Human Resources recruitment business in the UK, admired for its people, partnership and performance. For centuries the oak leaf has symbolised strength, endurance and courage. These are the same qualities we look for in our people. If you share them, there could be a prosperous future for you here.